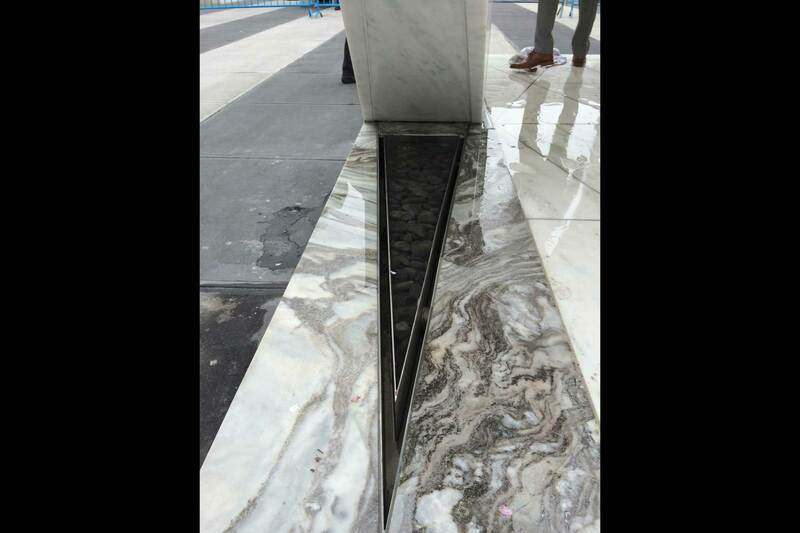 Delta Fountains created the small reflecting pools and the fountain system for the UN Memorial in New York. 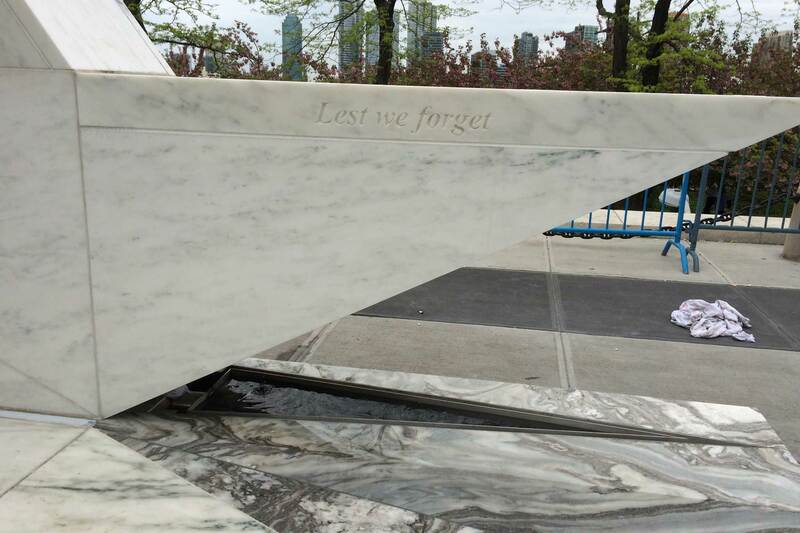 The UN Plaza Permanent Memorial, also known as “Ark of Return”, is a granite memorial sculpture designed by Rodney Leon Architects. 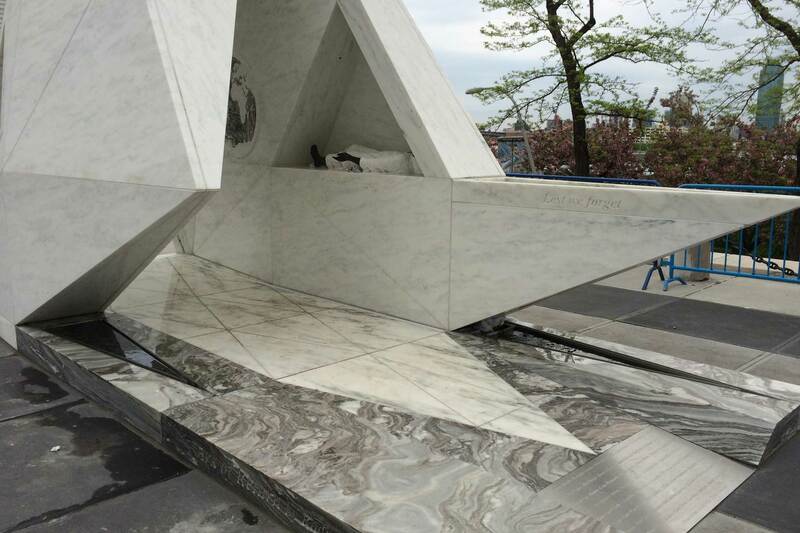 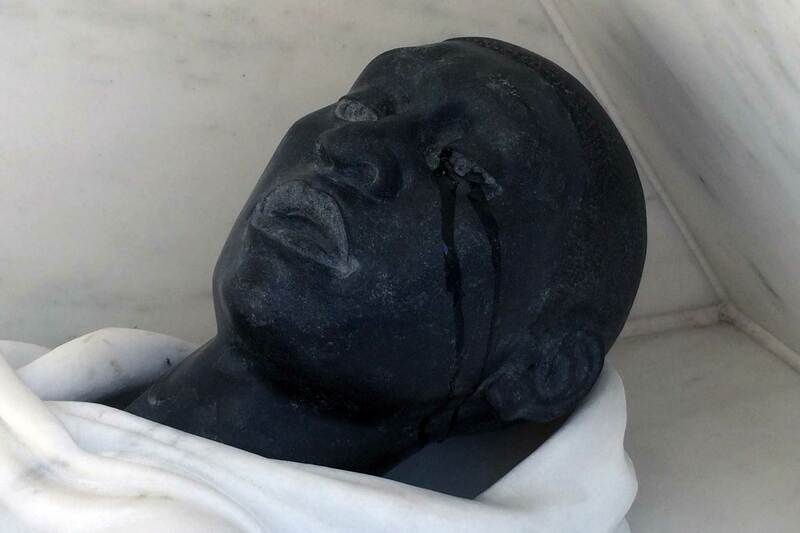 The memorial is the first permanent memorial of any kind at the UN’s headquarters in New York City, and was built to honor the victims of slavery and the Trans-Atlantic Salve Trade. 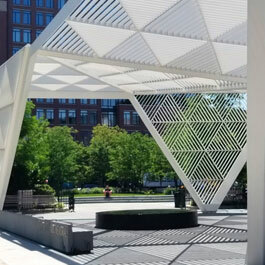 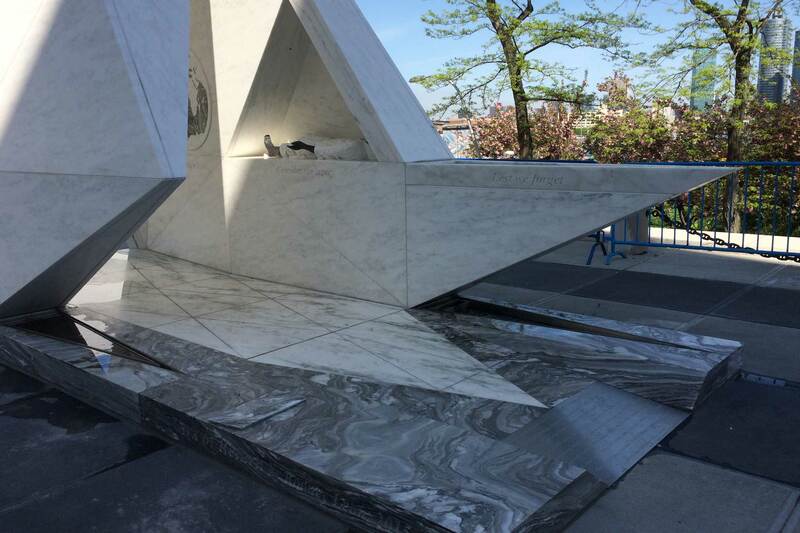 The geometric frame, the Trinity Sculpture, and the base of the memorial are all sculpted from a variety of Danby marble. 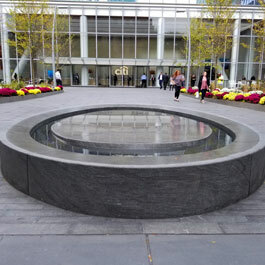 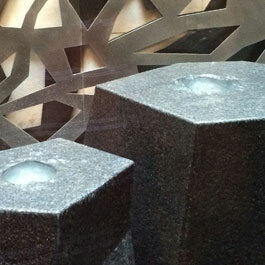 Delta Fountains designed and manufactured the negative-edge reflecting pool at the base of the marble frames. 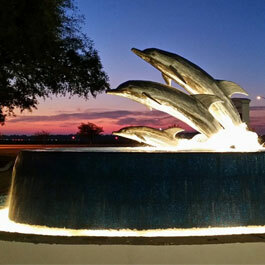 The reflecting pools help cast a light over the area by creating an ethereal glow at night.